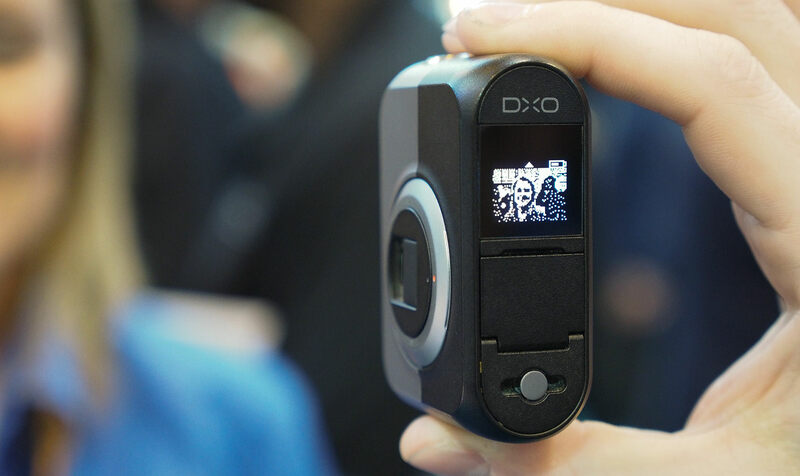 The DXO ONE is a tiny camera with a large sensor that connects to Apple devices via a lightning connector and turns them into a viewfinder and control unit. It sounds like a rather cool piece of technology but can it perform? We find out in our review. DxO is well-known for creating photo editing software such as OpticsPro and film emulation packs that score well in reviews and are popular among photographers but being part of the very fierce camera market is something that's very much new to them and to stand out, they really needed to bring something to the market that turned heads. 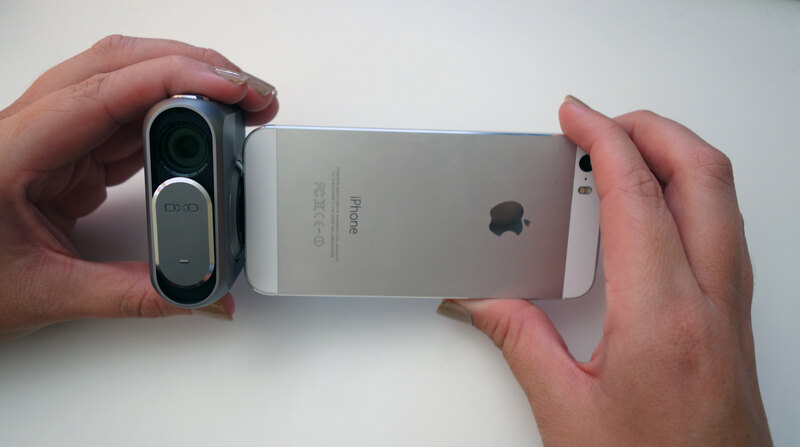 So, back in June, DxO introduced a DSLR quality camera with a 20.2-megapixel sensor that attaches directly to the iPhone or other Apple devices. This pocket-sized device with its promise to deliver DSLR image quality certainly got tongues wagging and made many photographers stand up and take notice. There was quite a bit of debate across the site with photographers praising and being sceptical about the new device in equal measure and now, ePHOTOzine can discover which side was correct as we put the DxO ONE to the test in a full review. The DxO ONE is a unique piece of kit that's actually a camera with a 20.2MP sensor and bright lens in a body that's so small, it'll fit in a coat pocket. 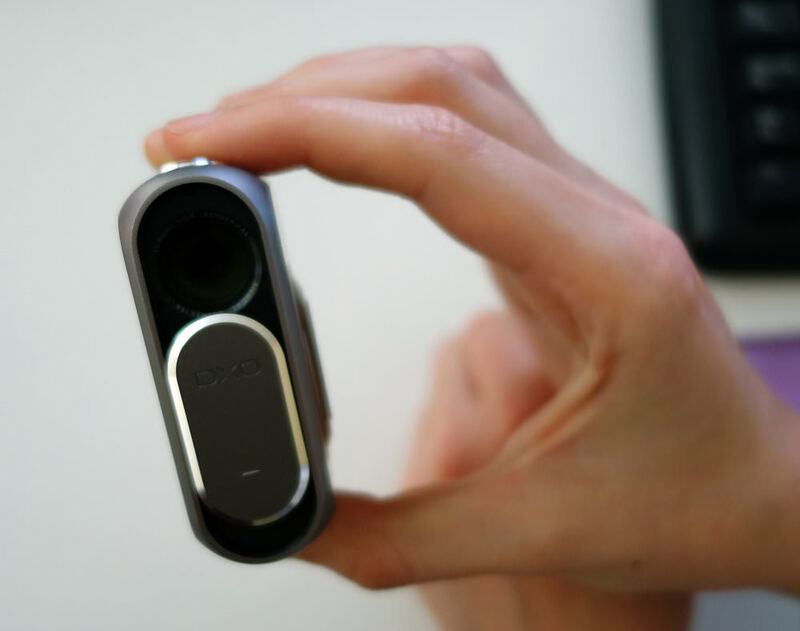 There's no viewfinder on the DxO ONE as you connect it to an Apple device via the lightning connector and use the iPhone or iPad as a viewfinder / screen and command centre. Basically, once you've downloaded the free DxO One app, you have all of the options / controls you'd expect to find on a more traditional camera at your command via your iPhone's touchscreen. Plus, the camera can capture and store RAW and SuperRAW files which can be opened in the free to download DxO Connect software or in Photoshop. DxO FilmPack and OpticsPro can also be accessed for free with the purchase of a DxO ONE. The DxO ONE app offers various capture modes, including multiple Scene modes, Aperture Priority, or full Manual mode and the camera has a wide ISO range. Shutter speeds range from 15s to 1/8000s and the aperture range goes from f/1.8 to f/11. As well as stills, the DxO ONE can capture video at 1080p/30fps or 720p/120fps and in addition to the built-in microSD memory card, photos or video can be automatically stored in the iOS camera roll, if you so wish. The device itself doesn't have Wi-Fi but you can use all of the connectivity options available to you via the iPhone / iPad to share and store images / video. The DxO is tiny so easily fits in a pocket or bag and as it weighs just 108g, you certainly won't have to worry about tired shoulders or neck / back pain when carrying it. It's well constructed, partly from aluminium, and definitely has a modern look / feel about it. I wouldn't leave the iPhone / iPad and DxO ONE connected when carrying it in a bag, though, as I'd be worried the lightning connector could get damaged. 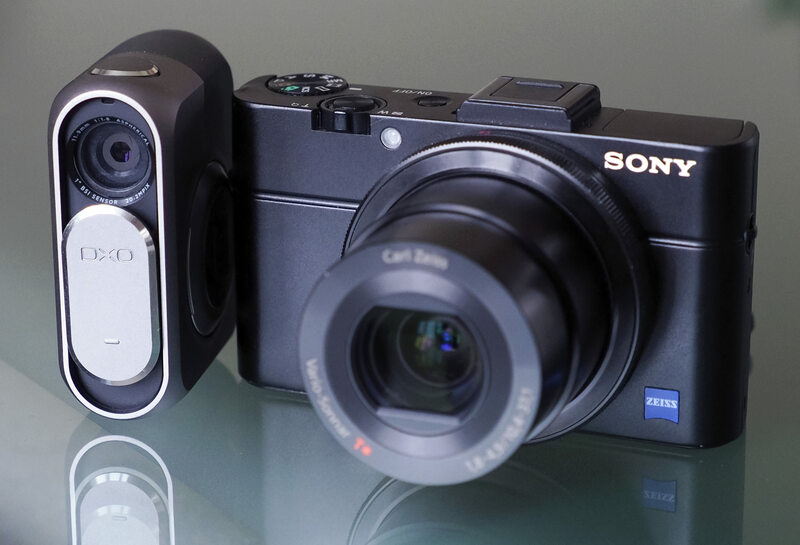 DxO ONE Vs Sony Cyber-Shot RX100 II - Both cameras feature a 1inch sensor. Instructions are supplied on how the camera is connected to the iPhone / iPad as when you first pick up the device, it's not that easy to figure out how to access the lightning connector as it's tucked away and can't be simply pulled out. I'm sure this is done to protect the connector as they are fragile and if it was left protruding, it could easily break off. You'll also need the instructions on how to remove the DxO One from your device as this isn't straightforward either but once you've done it, it's a quick and easy task that securely keeps the lightning connector locked in placed when not in use. We've put a quick video together over on YouTube showing how the DxO ONE connects to Apple devices. The on / off switch is a slider which has smooth movement and is also used as a lens cap cover when the camera's not in use and as a method for waking the camera back up when it goes into sleep mode to save power. On top of the camera you'll find just one button which is a large circular shutter button that fits fingers perfectly. On the rear is a small screen that supplies basic camera settings and also an indication of how long the battery has left. There's also a plastic door that protects the Micro SD card and Micro USB connector. The camera swivels ±60° when connected to the Apple device (iPhone in our case) which means you can adjust the position of the device to give you slightly more creative angles or indeed to remove reflections on the screen caused by the sun. 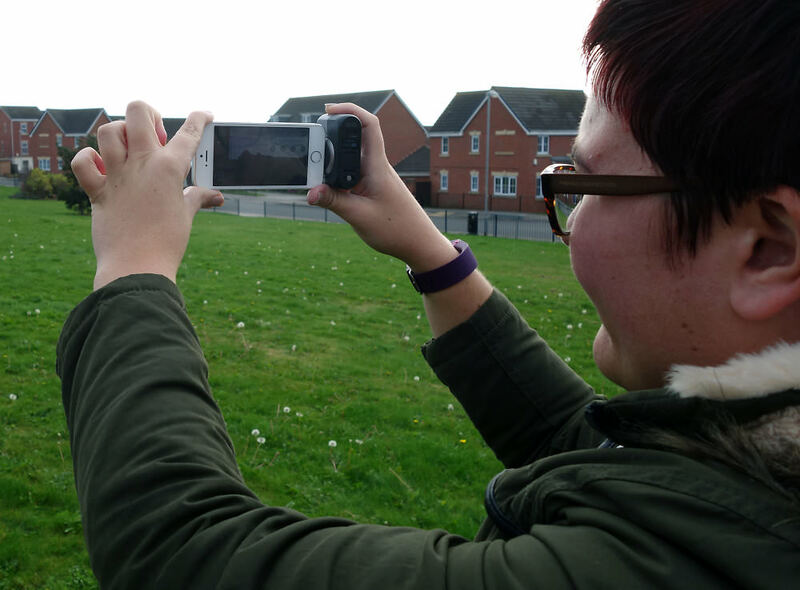 However, as anyone with a smartphone will know, viewing the screen in bright sunlight can be a tricky task and as the iPhone is the viewfinder and command centre, this can make choosing options as well as viewing images a rather tricky task unless you have some method of sheltering the screen. You could also try increasing the screen's brightness to make the image you're viewing more visible. As all that's connecting your iPhone to the DxO ONE is the lightning connector you do want to ensure you're holding both devices securely and correctly. I must admit that it did unnerve me slightly knowing that they were only connected by such a small thing and even though they didn't disconnect when in use, it was always at the back of my mind that my device could fall off if care wasn't taken. I wouldn't recommend using the device one-handed either, even if using the selfie mode, as the iPhone feels heavy when compared to the DxO ONE and the set-up begins to feel unbalanced. There is a video on the DxO Youtube channel which demonstrates how the device should be held should you wish to view it. The DxO One app is really easy to use and straightforward to understand. If your iPhone is unlocked when the camera is connected the app will be launched automatically so if you spot something that you need to capture quickly, you'll have a better chance of succeeding as you don't have to find and click on the app to get going. In the app you'll find various scene modes along with all the usual shooting modes you'd expect to find on a camera. Manual really does give you full control of the aperture, shutter speed, ISO etc. and you can also shoot in RAW. There's no flash on the DxO ONE but it can use your iPhone's flash, although the iPhone 5S doesn't have the most brilliant of flashes so I didn't find it very useful to be honest. When taking photos, the camera responds well and unless you're focusing closely on something, autofocus does a cracking job every time. If you don't use the camera for a while it will enter sleep mode which can be a bit of a pain to come back out of. The DxO site says you should just be able to half-press the on/off button down to reactivate the device, however I found I had to completely switch off the device on some occasions to wake it back up which can be fiddly to do when you have your iPhone attached. Tapping the iPhone screen did wake the camera back up successfully everytime, though. As for the layout of the app, it's clean, simple and easy to navigate. Menus are well laid out and it's not cluttered which makes it easy to view. Adjustments are easy to make thanks to the app taking full advantage of the iPhone's touchscreen capabilities and it responds quickly. Plus, once adjustments are made, the effect they have on the scene is shown almost instantaneously thanks to the live view you're given via the iPhone's screen. There's no built-in Wi-Fi on the camera but images can be stored to your iPhone so they can be shared socially, via email or stored to a cloud. When it comes to holding the camera, it does feel a bit weird at first and your finger(s) will more than likely sit in front of the lens. However, this is something that's quickly and easily rectified. 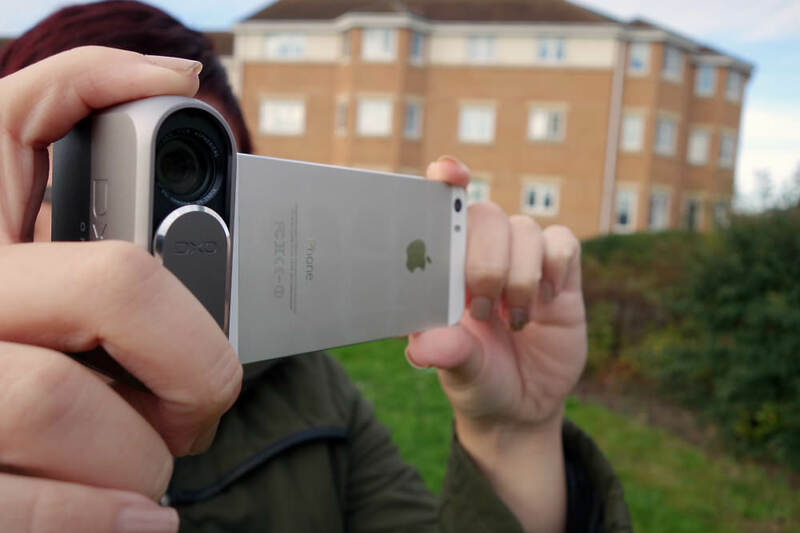 I mentioned that there was always a worry at the back of my mind that I could drop my iPhone and I do believe this doubt could be removed by the camera featuring a grip or even some sort of frame the iPhone can slot into. The camera will connect to the iPhone when certain cases are on it, however I still don't feel this gives the user enough grip to make the device feel 100% secure, particularly with how delicate the Lightning connector is. To use the selfie mode you have to remove the camera, turn it around and reconnect it which is a minor annoyance but straightforward enough to do. Once you do this, the camera automatically knows you are in this mode and the image on screen is flipped automatically to reflect this. Selfie fans tend to hold the camera in one arm and hold it up in the air but personally, I wouldn't recommend doing this with the DxO ONE attached as the iPhone feels unbalanced and heavy. When you half-press the shutter button to focus your selfie the camera reminds you to actually look at the device and not your iPhone which is a nice touch as your eyes do automatically look at the screen and not the lens. You can also use the camera without your iPhone attached, and DXO One Firmware update v1.3 makes the screen on the back into a small black and white viewfinder to help compose shots when you haven't got the camera connected to your smartphone. Battery life - Battery life is rated at 200 shots per charge, which sounds like a lot of photos but when I took it out for the afternoon, in just 30 minutes the battery had depleted to just 30% so if you're someone who spends plenty of time on getting your settings right for each frame, you're not going to benefit that much from carrying it with you. If, on the other hand, you're someone who happily snaps away in order to just upload images to Facebook, you'll probably find the camera's battery life sufficient. You can't carry a spare battery either as the DxO ONE has a self-contained power supply that's charged via a Micro USB cable. You can shoot tethered but by doing so sort of defeats the purpose of the camera. We were able to record 49 minutes of video before the battery was completely flat. What happened to WB test images? Wow, that's some truly attrocious shooting-against-the-light performance right there. Were those OoC jpegs? If so, the engine needs some serious tweaking with firmware updates. If not, and that's all the highlight detail and contrast you can pull after post... well, then the optics are really messed up. Certainly not in the vicinity of "lens performance is good". Not too impressive for the best part of a grand. [quote]What happened to WB test images? [/quote] Hi Josa, Due to the light levels where we take our WB shots, there was quite a bit of shake as we had to take the images hand-held so the photos didn't look great. We will be updating these when we've got an adaptor we can use to attach the iPhone to a tripod. [quote]Were those OoC jpegs? [/quote] Hi sjjs, we didn't perform any post work on the images. Quote:What happened to WB test images? Hi Josa, Due to the light levels where we take our WB shots, there was quite a bit of shake as we had to take the images hand-held so the photos didn't look great. We will be updating these when we've got an adaptor we can use to attach the iPhone to a tripod. Hi sjjs, we didn't perform any post work on the images. Worse than I thought. DSLR quality really is a bit of an overstatement - a 1" sensor is never going to match a larger one for noise control or giving a shallow DoF except for really close subjects. I also question how much more convenient it is to carry one of these in addition to your phone rather than something like the Sony, or better still an LX100, which have the advantage of more controlability, flexibility and quality. What I didn't anticipate is how dreadful the battery life would be - with no chance of using a spare! To be honest I can't see myself being interested in one of these even in 12 months time when you'll be able to pick them up for under £200. When I first heard the announcement of these I thought they might suit one or two people, but I'm really struggling to imagine who that might be. I have actually used my iPhone on rare occasions in good light for certain shots for small reproduction - and it's been serviceable. I can't think this would increase that functionality enough to keep one in my pocket as opposed to a small dedicated camera of decent quality. It's a shame - the concept does have some decent things going for it. Worse than I thought. DSLR quality really is a bit of an overstatement - a 1" sensor is never going to match a larger one for noise control or giving a shallow DoF except for really close subjects. I also question how much more convenient it is to carry one of these in addition to your phone rather than something like the Sony, or better still an LX100, which have the advantage of more controlability, flexibility and quality. What I didn't anticipate is how dreadful the battery life would be - with no chance of using a spare! To be honest I can't see myself being interested in one of these even in 12 months time when you'll be able to pick them up for under £200. When I first heard the announcement of these I thought they might suit one or two people, but I'm really struggling to imagine who that might be. I have actually used my iPhone on rare occasions in good light for certain shots for small reproduction - and it's been serviceable. I can't think this would increase that functionality enough to keep one in my pocket as opposed to a small dedicated camera of decent quality. It's a shame - the concept does have some decent things going for it.